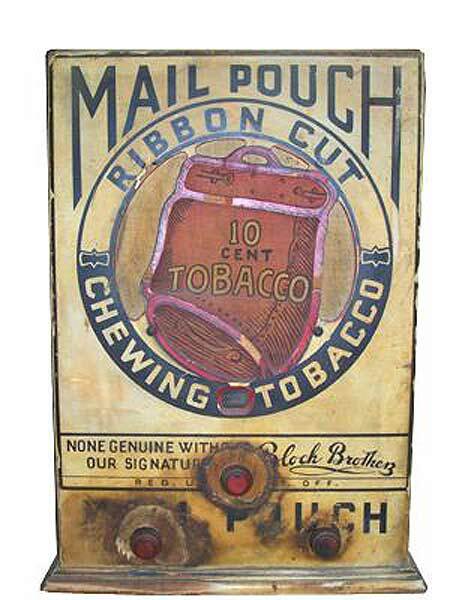 This is a very rare Mail Pouch chewing tobacco advertising piece with a Crosley 135 radio chassis. The dial scale is visible in the window between "Chewing" and "Tobacco." The speaker is mostly covered by the "10 Cent Tobacco" artwork with very small cutouts around the artwork. I actually do not own the radio; a visitor to this website offered a photograph of his magnificent example for my gallery.